You can never have too many board games and there’s always time for family game night! 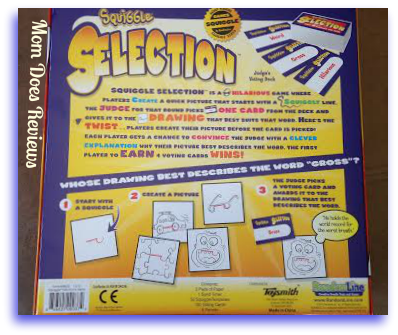 Get unplugged play some games with the family, you’ll have a blast with games like the Squiggle Selection Game! 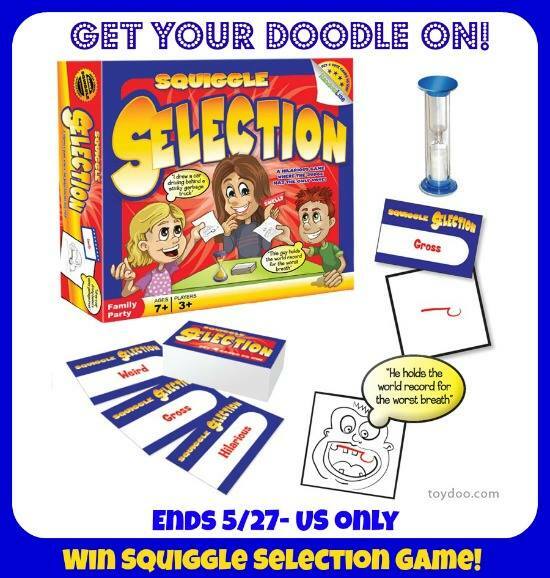 One lucky winner will get their own SQUIGGLE Selection Game! We like Rummikub or Uno. We like the game Clue. Monopoly is our favorite game! Thanks! our favorite family board game is Monopoly. Sorry has always been my favorite board game. My son loves Monopoly. We have 5 different versions! Our favorite family board game is SORRY. It is one of those games that everyone can play with very little difficulty. Monopoly, Uno and Pirater are our family’s favorite games. Right now the game of Life is the family favorite, but it changes frequently. We love beat the parents awesome game. I like Apples to Apples. i like to play backgammon. Star Wars Monopoly or Disney Trivia! We love to play Yahtzee and Sorry. Thank you for the giveaway!! We played Life and Monopoly alot but now that we have a 2 year old as well as our 10 and 12 year old we have gone back to Chutes and Ladders and Candy Land! We like Sorry, and sometimes Monopoly, but it takes soooo long!